Harvested when still young on the vine, Kampot green pepper aromas literally explode on the palate with a very mild pepperiness. This fresh pepper accommodates perfectly a grilled squid dish. 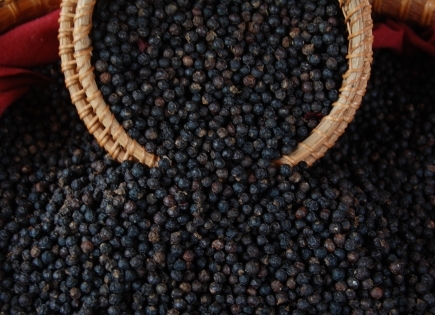 Kampot black pepper delivers a strong and delicate aroma. Its taste, which can range from intensely spicy to mildly sweet, reveals hints of flower, eucalyptus and mint. This black pepper suits all kind of dishes and distinguishes itself in particular with grilled fish. Kampot peppers’ specificities come from the mildness of their spice, the freshness and complexity of their aromas and their exceptionnal lingering taste. This disconcerting pepper allows for the wildest combinations, from wild meat seasoning to vanilla desserts. Harvested when the berry is fully mature on the vine, Kampot red pepper delivers a powerful and fruity aroma. Its taste combines the spicy, mature flavor of black pepper with a sugary sweetness. Kampot red and white peppers are extremely rare due to the difficulty in harvesting fully mature pepper. Only a few hundreds of kilos are produced each year. Obtained by soaking the red berries in water for a few days, Kampot white pepper develops an intense bouquet and delicate aroma. Its strong spicy taste carries notes of fresh grass and lime. A “terroir” is a combination of natural (climate, soil, hydrology) and human (know-how) factors that dictate the production and elaboration of a product. 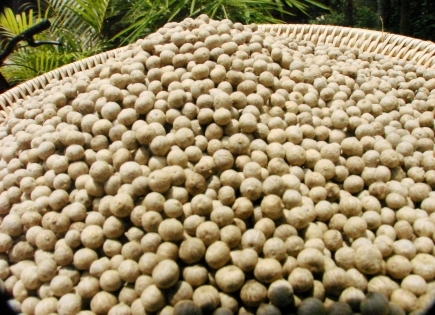 Kampot Pepper is grown in some districts of Kampot province and of the neighbouring province of Kep. 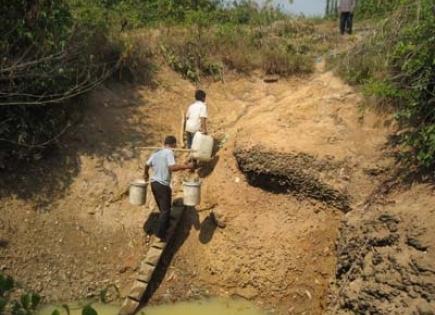 The porous soils of the Phnom Voa mountain surroundings are essential to Kampot pepper cultivation as they allow a good drainage of rain water, especially during rainy season. The origin of a product, the natural environment of the production region, leads to subtle difference of its quality, of its taste, and gives that origin products’ its particular style, and its distinctive character. Fruits from Kampot region are sought after in Cambodia for their exceptional qualities: coconuts, durian, mangos... and pepper of course. 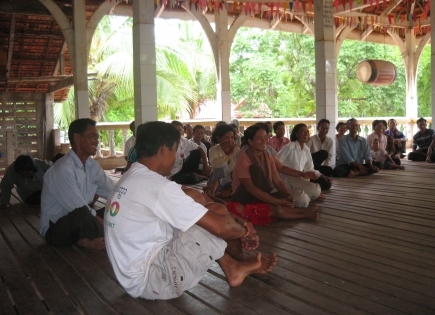 The region of Kep and Kampot has these specific attributes that make the pepper grown there unique. 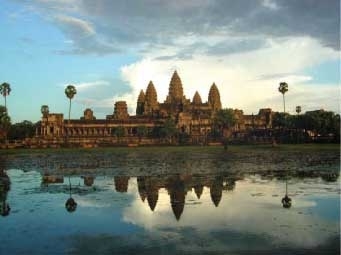 Pepper in Cambodia has a centuries’ long history which precedes the great civilization of the kings of Angkor. 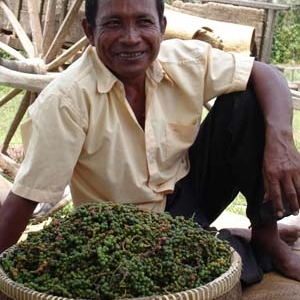 The Chinese explorer Tchéou Ta Kouan describes pepper production in Cambodia as early as the 13th century. In 1873-1874, war erupted in the Aceh province of Indonesia. Unable to contain the powerful Dutch army, the sultan of Aceh - not wanting to leave this wealth in the hands of his enemies - burned down his pepper plantation. 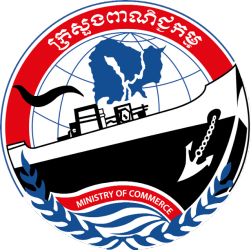 Part of the production then moved to Cambodia, in the Kampot region. 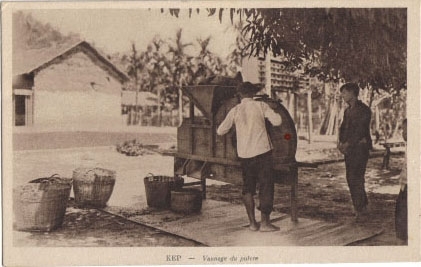 Kampot province witnessed a real “pepper fever” with the arrival of the French colonists at the end of the 19th century. They intensified the production and produced up to 8000 tonnes a year at the beginning of the next century. 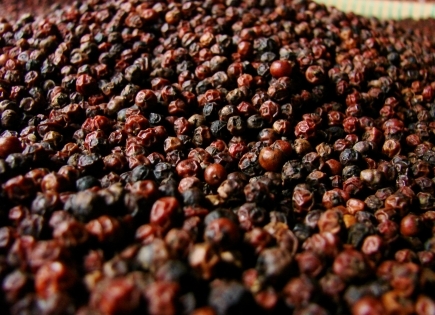 In the middle of the 20th century, Kampot Pepper is at its pinnacle. Production which stabilized around 3000 tonnes per year is of exceptional quality. Kampot Pepper is then the spice of choice for the top French restaurants. In 1975, the Khmer rouge took over the country and put in place a regime of terror that ruled the country for the next 5 years. 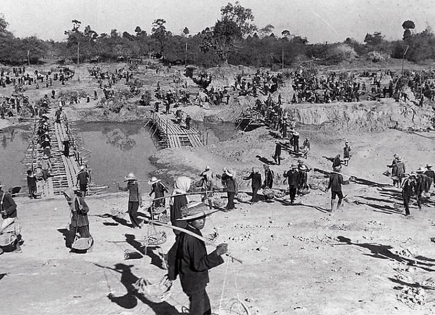 Land and people were monopolized in order to grow rice almost exclusively. 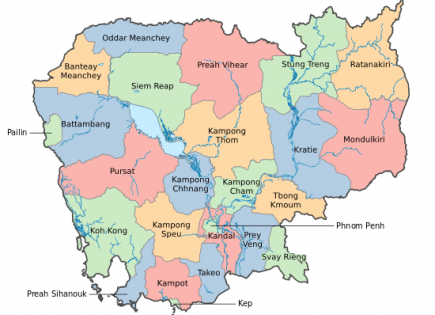 These 5 years of terror and the 30 years of civil war that followed put a stop to the pepper production in Kampot. Pepper farms almost completely vanished and only a few poles remained out of the million still in place in the 60’s. At the end of the 20th century, producers’ families came back on their ancestral land. Coming from several generations of pepper producers, they naturally cleared the land left abandoned and started cultivating their favourite spice once again. In 2006, thanks to the support of private business and development organizations, production picks up and recovers its former glory. 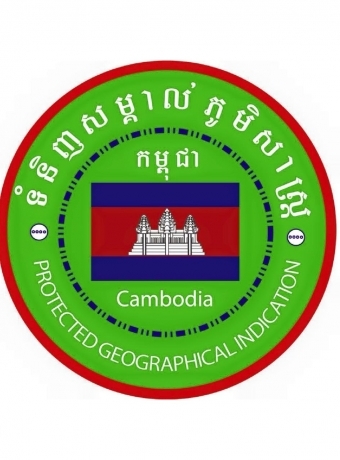 A geographical indication designates and protects a product coming from a specific geographical area and which particular quality, reputation or other characteristics can be linked directly with this geographical origin. The geographical indication is described in a strict book of specifications that fixes the rules in terms of production methods (farm plots, authorized products, hygiene...), processing, packaging and traceability. 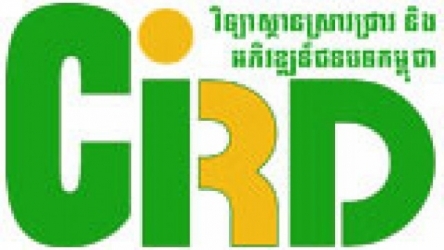 For example, Kampot Pepper book of specifications forbids the use of chemical fertilizers. The conformity of the product - from the plantation to the final packaged product - with the origin and the book of specifications is controlled using a traceability system and an internal control system (implemented by the inter professional association), coupled with an external control from a certification body accredited to the ISO 65 standard. 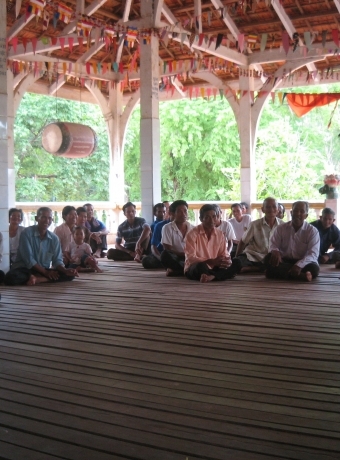 The Kampot Pepper Promotion Association, registered in 2008, is in charge of managing the Kampot Pepper geographical indication. 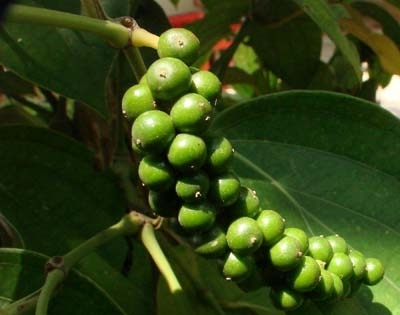 It defines the book of requirements, validates the land plots, implements the internal controls and watch over the promotion and the correct use of the name “Kampot Pepper”. 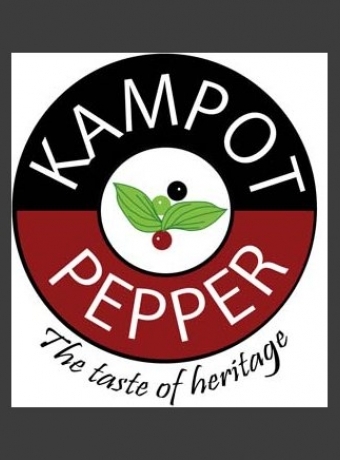 The logo placed on the final packaging is the guarantee of the origin and the quality of Kampot Pepper. 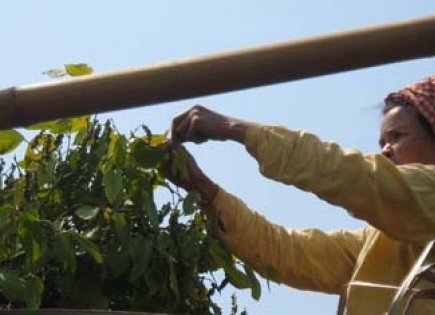 There are two varieties of plants used by the farmers in Kampot: Kamchay and Lampong (or Belantoeung), known locally as “big leaves” and “small leaves”. Replication is done by cuttings. The geographical indication’s book of specifications forbids the use of any other varieties. Fertilization is applied all year long in different ways: addition of new soil called “virgin soil”, application of cow dung and bat dung (guano). Some producers also produce fertilizers from rice field crabs, cow bone and skin of prawn. 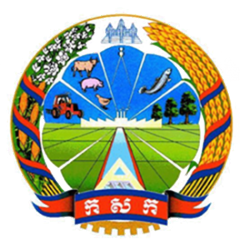 The geographical indication’s book of specifications forbids the use of chemical fertilizers. 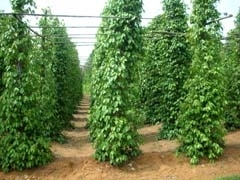 Irrigation is paramount to pepper cultivation. If rain fall is plentiful during rainy season, irrigation is necessary during dry season when a vine needs 15 L of water every 3 days. Most of the plantations in Kampot are irrigated manually using water from ponds nearby. Many producers in Kampot produce today natural pesticides (repulsive) based on local plants - the knowledge transmitted from their ancestors. 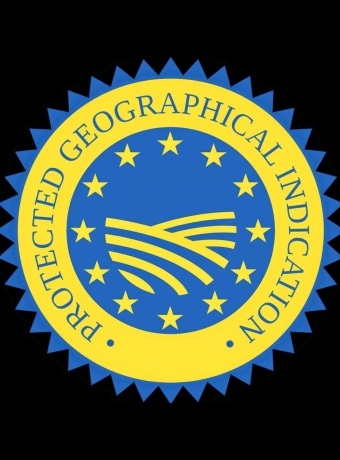 The geographical indication’s book of specifications recommends using natural pesticides. Producers growing pepper in Kampot today come from several Producers growing pepper in Kampot today come from several generations of pepper planters. 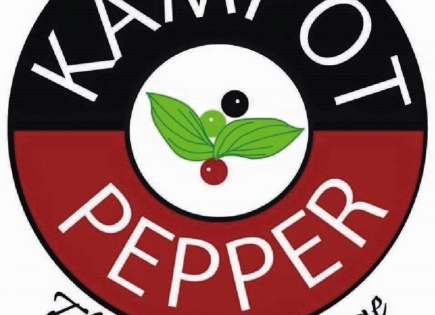 They came back on their land after the civil war was over and started to farm pepper using their traditional methods inherited from their ancestors. . They came back on their land after the civil war was over and started to farm pepper using their traditional methods inherited from their ancestors.